When children have an ear infection, inflammation of the middle ear (otitis media) occurs. This can happen in one or both ears and is the single most common diagnosis given to children when they visit the doctor for illness. Otitis media is extremely common in younger kids but it can also affect adults. How serious is an ear infection? Otitis media is a serious condition because it can result in severe earache or hearing loss if left untreated. If children experience hearing loss, they may experience developmental and speech delays. If an ear infection is addressed immediately and properly, hearing loss can typically be set back to normal. The otitis media infection can also spread to other areas in the head, like the mastoid. If the eustachian tube gets blocked during a cold, upper respiratory problem, or allergy, otitis media can result. Pressurized pus in the middle ear can generate earaches, redness and swelling. In both cases, the eardrum is incapable of vibrating correctly. If the eardrum ruptures, pus will sometimes drain from the ear. More often, the pus remains in the ear because the eustachian tube is inflamed. If you or your child experience an earache, a feeling of pressure or fullness in the ear, hearing problems, loss of balance, dizziness, nausea, ear drainage, or fever, you may have an ear infection. If you exhibit any of these symptoms, visit your doctor to confirm why. 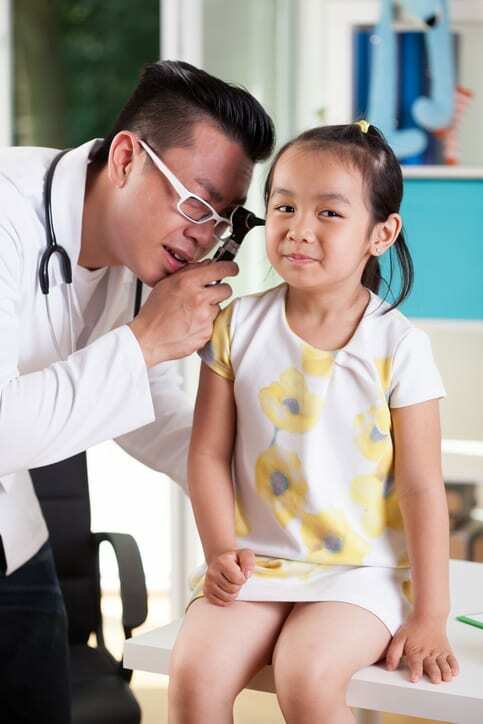 While visiting the doctor, he will use an otoscope to assess the health of the ear and examine the redness or fluid present. If the eardrum fails to move or the area is red, an ear infection is likely. An audiogram test may be administered to determine what sounds and pitches you can hear. A tympanogram test will measure the air pressure in the middle ear. If you suffer from any of the symptoms of an ear infection, call Coastal Ear, Nose, and Throat today. You can reach our team by calling (732) 280-7855. We look forward to helping you live pain free!